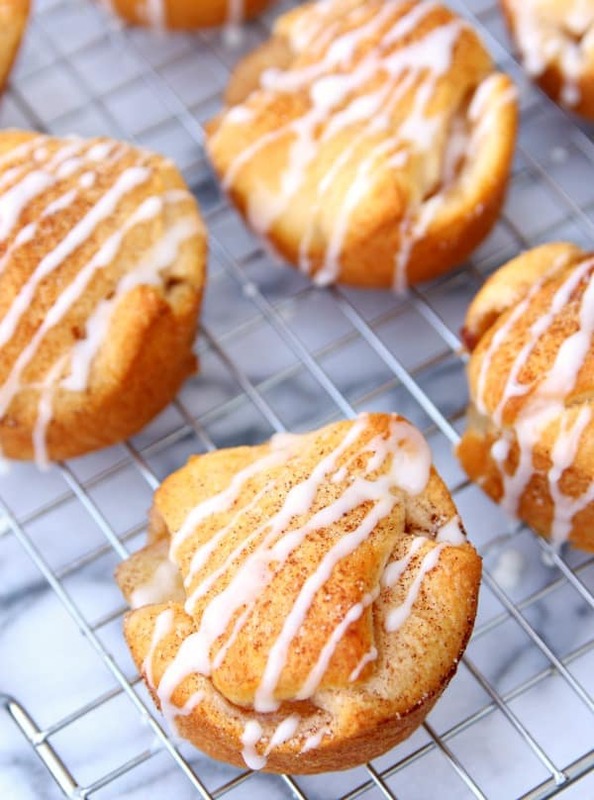 A Delicious and Easy Apple Pie Bites Recipe that Anyone Can Make! Are you looking for an easy sweet treat that everyone will love? 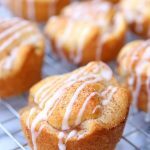 Then you will love these Apple Pie Bites! They are easy to make and taste great too. And they only require a few ingredients which is a huge plus in our house. 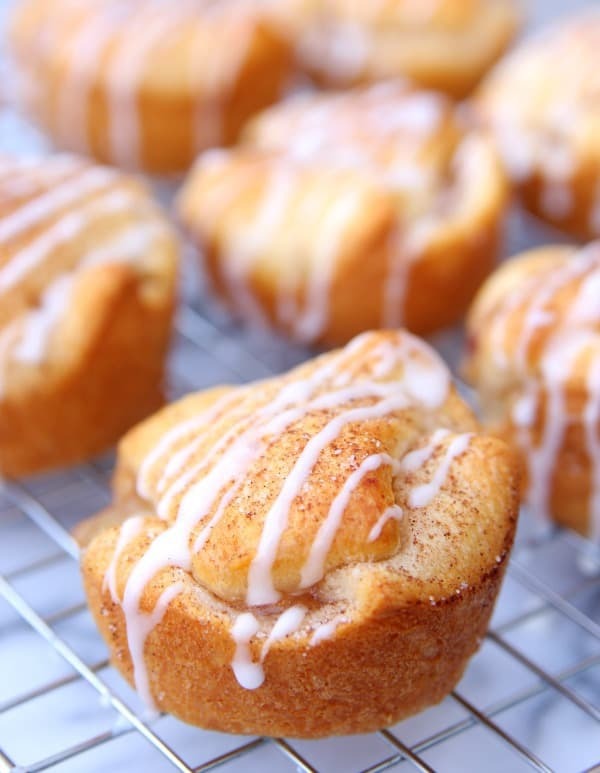 Whip them up for breakfast or serve them for dessert – either way, they will go quickly. I made them for breakfast this past weekend and Connor loved them. He loves croissants so I knew they wouldn’t last long. He ate two for breakfast and then one for dessert. They taste great heated up with a scoop of ice cream on top. Preheat oven to 375 degrees. Spray muffin pan with cooking spray. Unroll crescent dough. Carefully separate triangles. Lay dough inside each muffin cup and press down to cover all sides of the cup. Add a spoonful of pie filling to each cup. Pull corners of each dough triangle over top pie filling. Sprinkle with cinnamon and sugar. Bake for 14-16 minutes. Mix powdered sugar and half & half together until you have a nice glaze. Add more half & half if you need to. Remove apple pie bites from oven and let cool on wire rack for about 5 minutes. Drizzle your glaze over each apple pie bite. Next time I think I’m going to make them with cherry pie filling. What’s your favorite pie filling?